Hello and welcome to day 3 of the My Favorite Things July Release Countdown! This month's release is celebrating birthdays in a big way and with all of the new products, you won't have any problem creating birthday cards for all of those special people in your life! 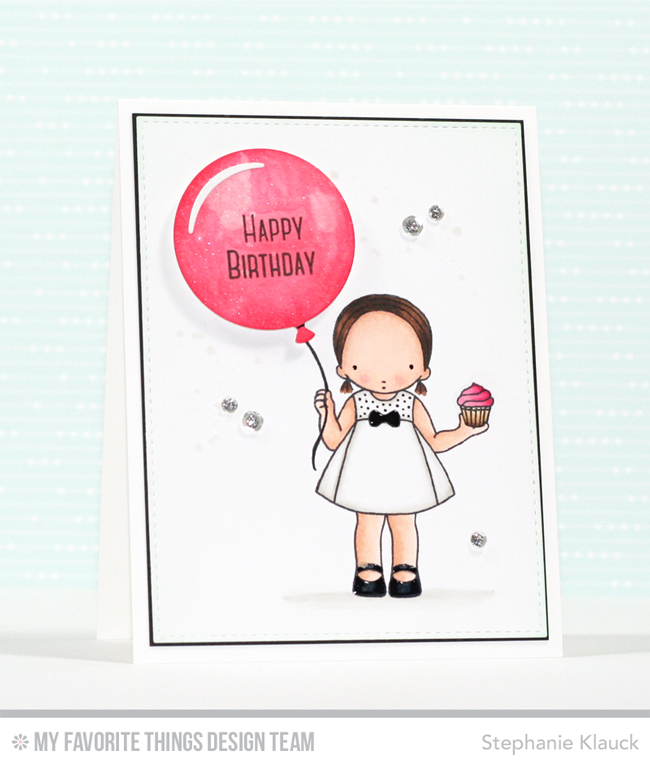 For my card today I used the new Pure Innocence Cupcake Day stamp set and paired the girl image with one of the balloons from the new Big Birthday Balloons die-namics. 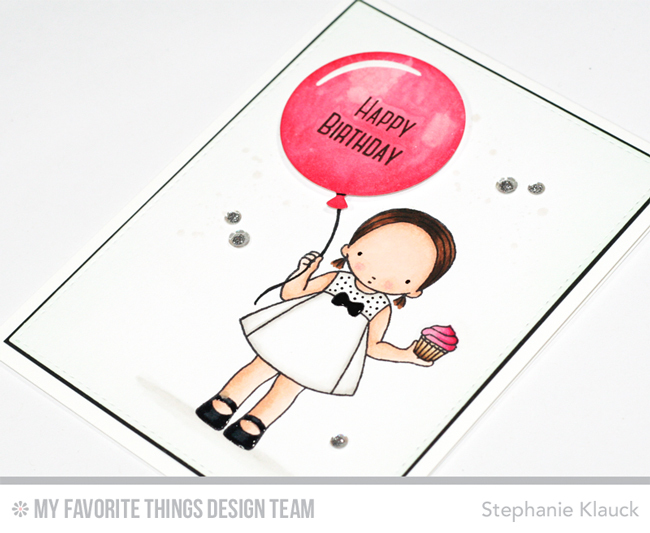 I stamped the girl image directly on my white cardstock panel and coloured both her and the cupcake she's holding. I gave her a white dress with black polka dots at the top and sparkly shiny black shoes.I always have so much fun colouring in these cute images. I diecut one of he balloons from the die-namics set and added colour to it with dye ink and an ink blending tool. I adhered the highlight and stamped the sentiment directly on the large balloon. I used a black pen to draw the string from the balloon and into the girls hand. I finished the card by adding some shadow detail under the girl with a Copic marker and I adhered some clear sequins scattered onto the card front. 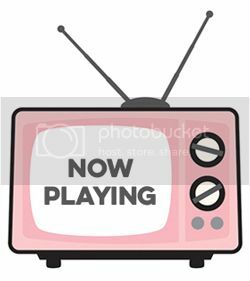 Thank you so much for stopping by for day 3 of the MFT July release countdown! All of the new products will officially be available in the MFT Stamps online store on July 5th at 10pm EST. Very cute card. I love the idea of pat and leather shoes. We all had them as kids and called them our "party shoes." How appropriate for this month's release. Perfect CAS beauty, love the big balloon with your amazing coloring! SWEET, CARD! Adorable little girl, love your coloring. Love the matching cupcake and balloon colour and her sweet dress! Such a beautiful CAS card !! Love it. Lovely card. I love the balloon colour and matching balloon. I am drooling over this card. I LOVE how you colored that little dress and the patent leather shiny shoes? ADORABLE!!! Love the extra big balloon! I am so amazed how different everyone makes that little dress! Who knew something so simple could be so expansive in looks. Pretty! What a cutie! Isn't it amazing how effect so much whitespace can be!